Bulletproof Suspension - We specialize in BIG lift kits 6"-12"
Renowned for our custom bolt on suspension lift kits, quality engineering and design. All components are made from A36 steel plate 1/4″ thick or thicker and heavy wall D.O.M. (drawn over mandrel) seamless steel tubing. Bulletproof Suspension uses continuous seam welding with our exclusive cross bead internal rosette reinforced construction to ensure every Bulletproof Suspension lift is “Bulletproof”. Bulletproof Suspension kits are made here in the USA since 2000, year after year we improve our already great kits, constantly looking for new ways to make the products we offer even better. Bulletproof Suspension Lift kits are all specifically designed so all angles remain as close to factory specs as possible, preventing any binding. 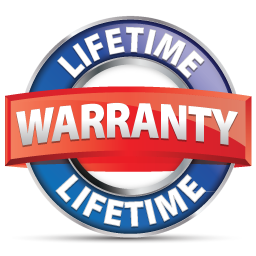 ALL Bulletproof Suspension manufactured parts are covered by a lift time transferable warranty. All Bulletproof Suspension kits are designed to be bolt on with as little modification as possible required. Minor cutting maybe required with some application. Ask a Bulletproof representative about any modification that may apply to your vehicle. Bulletproof Suspension is proud of what we do and stand behind the kits we manufacture, no matter how long the kit has been on your truck or SUV. We are also proud of our Country and the Men and Women that serve in our Military, we show that by offering a discount to any Military personal. For more information on Military discount or placing a order for one of our quality Suspension Lift kits please call us directly at 909-389-0444.